Roberto F. Fleitas III has over ten (10) years of legal experience in Business Transactions, Real Estate Law and Finance. Mr. Fleitas' representative clients include real estate developers, financial institutions, REITs, private equity and opportunity fund investors, multinational corporations, local businesses and high net worth individuals. Mr. Fleitas' extensive transactional practice includes: complex real estate transactions, mezzanine financing, joint venture investments, structuring of partnerships and limited liability companies, commercial lending/real estate finance transactions, asset based lending, syndications, co-lending arrangements, special asset restructuring, disposition of distressed real estate assets, as well as troubled loan workouts. Mr. Fleitas has written on numerous real estate topics and is one of a select few attorneys that is Board Certified in Real Estate Law. Less than one-half of one percent (0.50%) are board certified in this area of law. Board certified lawyers have met The Florida Bar’s highest standards for special knowledge, skills and proficiency in various areas of law and professionalism and ethics in the practice of law. Certified lawyers’ experience and competency have been rigorously evaluated, and they are the only Florida lawyers allowed to refer to themselves as “specialists” or “experts” in their field. Mr. Fleitas attended the University of Miami where he received his B.A. degree. He went on to attend Stetson University College of Law where he attained his J.D. degree, and jointly enrolled in the School of Business Administration where he attained his M.B.A. degree. Thereafter, Mr. Fleitas returned to Stetson University College of Law and received his LL.M. degree. Mr. Fleitas is a member of the Florida and Washington D.C. Bars. 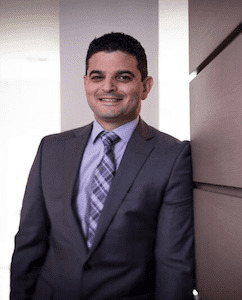 He is also a member of the Miami-Dade County and Cuban American Bar Associations, as well as a member of the Real Property, Probate & Trust Law Section of The Florida Bar. He is a member of the United States District Court, Southern District of Florida, the United States District Court, Middle District of Florida, the United States District Court, Northern District of Florida, the United States Court of Appeals, 11th Circuit, the United States Court of Appeals, Federal Circuit, the United States Court of International Trade, and the United States Tax Court. 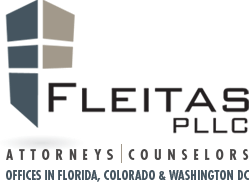 In 2015, Mr. Fleitas was appointed by the President of the Florida Bar to serve a three (3) year term on the Florida Bar's Real Estate Board Certification Committee. Mr. Fleitas is involved with a number of civic and philanthropic organizations in Miami-Dade County, and is on the Board of Directors of the Miami Hispanic Ballet. The "Jury" System of The People's Republic of China, St. Pete Bar Journal, (May 2005). Let the Buyer Be…“Aware?”, The Bulletin, Dade County Bar Journal, (May 2010).